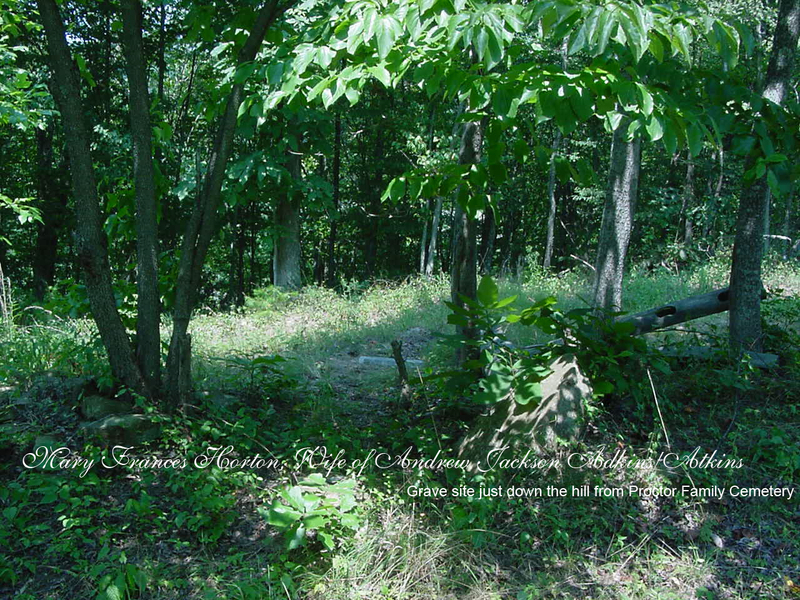 In 1974, Grama Mary's grave site was lost due to clear cut timber operations. 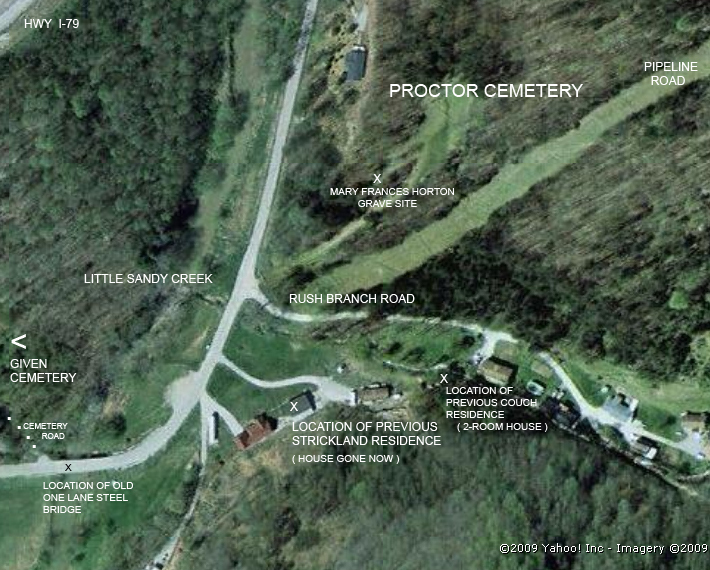 Walker Proctor later obtained assistance from a professional in the field, and relocated the exact grave site. Doug Couch placed a stone there around 2001-2003. After the stone was made, it was discovered that Grampa Adkins signed his name as "Atkins"...and possible information that Grama Mary was actually born in December 1882 (undocumented). Up the hill, just left of the dirt road that follows Rush Branch, off Little Sandy Creek Road, about 3-1/2 miles out of Elkview. 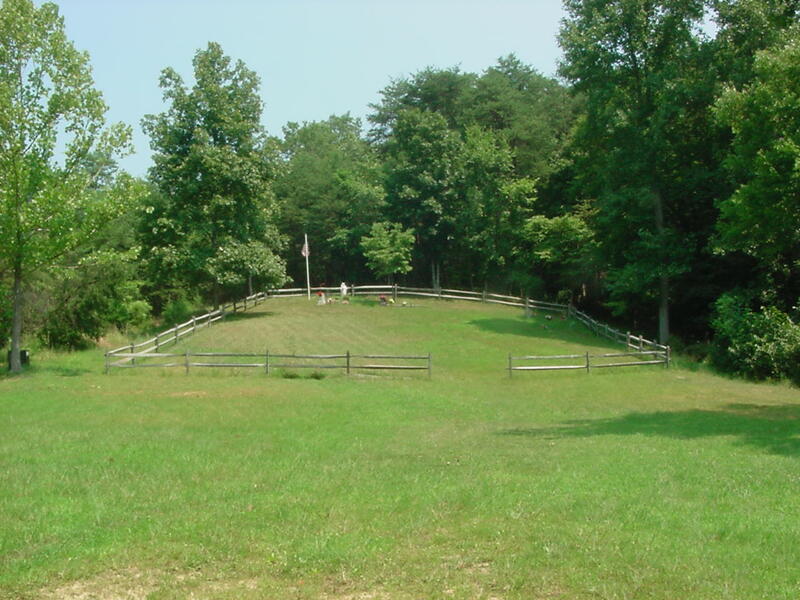 To the right of the road is the driveway to the Moles' residence, on the property where John Wesley and Nada Strickland lived earlier. 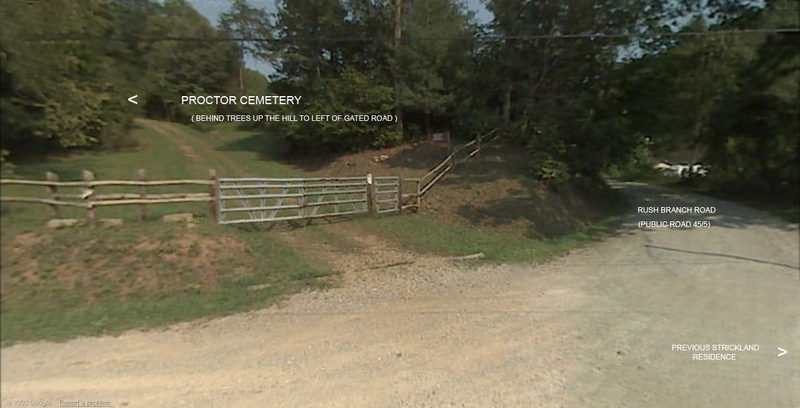 Earlier, James Walker Proctor, the founder of the cemetery, lived up Rush Branch hollow toward the upper end of the dirt road, high up on the hillside on the right. This site powered by The Next Generation of Genealogy Sitebuilding ©, v. 9.2.2, written by Darrin Lythgoe 2001-2019.